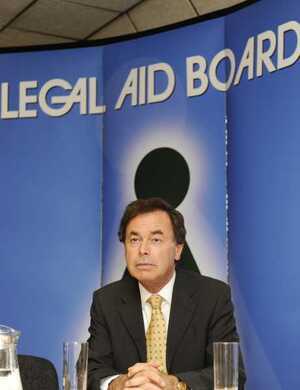 JUSTICE Minister Alan Shatter has appointed another personal donor to a state position. Accountant Declan O’Neill made a €1,000 donation to Mr Shatter’s war chest for the 2007 General Election. He was appointed Taxing Master yesterday — a job which comes with a €145,000 salary. The appointment of Mr O’Neill means two of Mr Shatter’s five listed donors in 2007, when he received €5,500, have now been appointed to state jobs. Mr O’Neill, who specialises in legal costs, also carried out work for Mr Shatter’s legal firm, Gallagher-Shatter. Barrister Kevin Cross, who donated €1,200 to Europe Minister Lucinda Creighton and who is a son-in-law of a former Fine Gael minister, and Michael White, who has political and personal links to Tanaiste Eamon Gilmore, as High Court judges, as revealed by the Irish Independent. The links were not highlighted by the Government. A former Fine Gael senator and running mate of Taoiseach Enda Kenny; a Labour election agent; and the sister of a Labour councillor and Labour senator as District Court judges. A further raft of Fine Gael or Labour linked State board appointments, including former TDs, by ministers such as Leo Varadkar, Simon Coveney, Pat Rabbitte and Mr Shatter. Posted in Misc on 9:56 am by December 14, 2011 .